Summer accessories are coming in so clutch. Right now, we’re also obsessed with time-saving tricks & ways to keep our life more organized. So, we’ve vowed to edit down, clean out and keep our handbags in order starting now to carry the season’s best clutches. Be a clean freak! Toss out receipts & scraps of paper you don’t need. Consolidate your wallet. Try a card case wallet so you only carry what you need: credit cards, driver’s license and small bills. Don’t bring your bathroom with you. Edit your makeup down to essentials only & throw away anything that’s older than 3 months. Once you’ve got that figured out, here are three different kinds of clutches to carry to varying occasions. 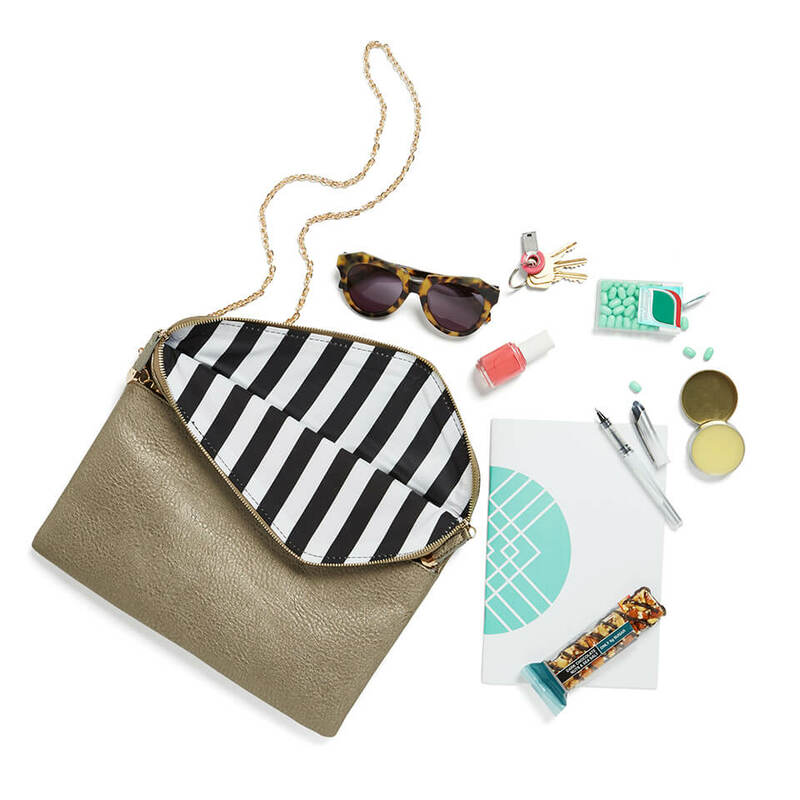 Ask your Stylist for one in your next Fix if you’d like to try out your newfound handbag freedom. This is the perfect purse for going out after work. Just grab this guy & go! Keep your essentials like mobile phone, money, keys and makeup must-haves in one place—just remember to carry only what you’ll absolutely use at least once while you’re out. It’s a clutch, it’s a crossbody, it’s a super clutch. One of our favorite tricks is to carry a clutch that converts into a crossbody bag with just the flip of a chain. If you get tired of carrying it—voila, you’re a hands-free woman! 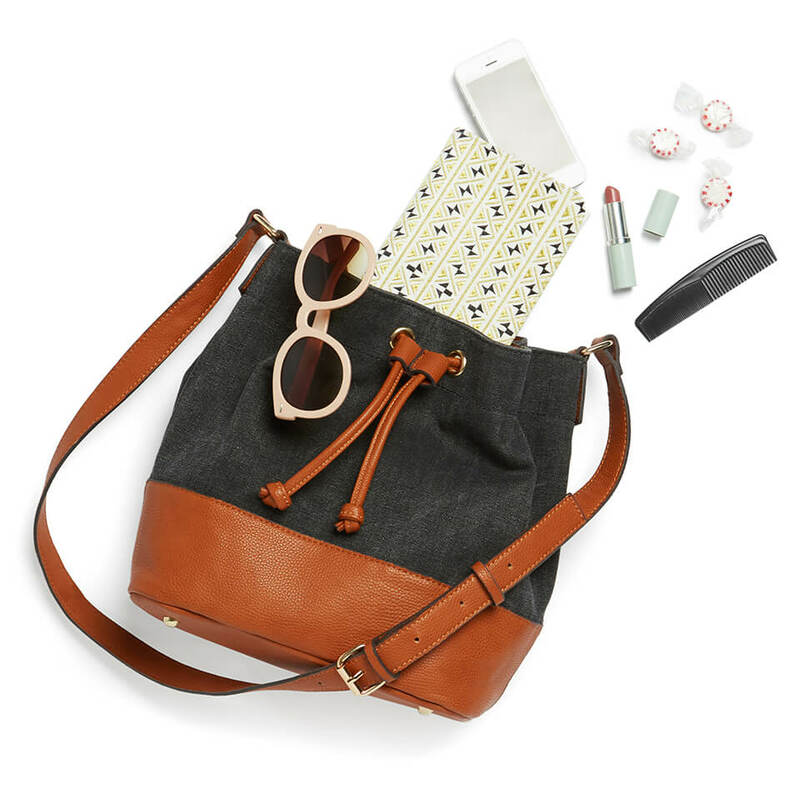 This size is perfect for those of us on the go; it fits an iPad mini, your notebook, sunnies, money, mints & lip balm. If you don’t do minimal and your essentials include a laptop or mommy must-haves, then carry a clutch inside an oversized bucket bag or tote. That’s right, it’s like an organizer within your bigger bag (though we still think you should simplify using the tips above). 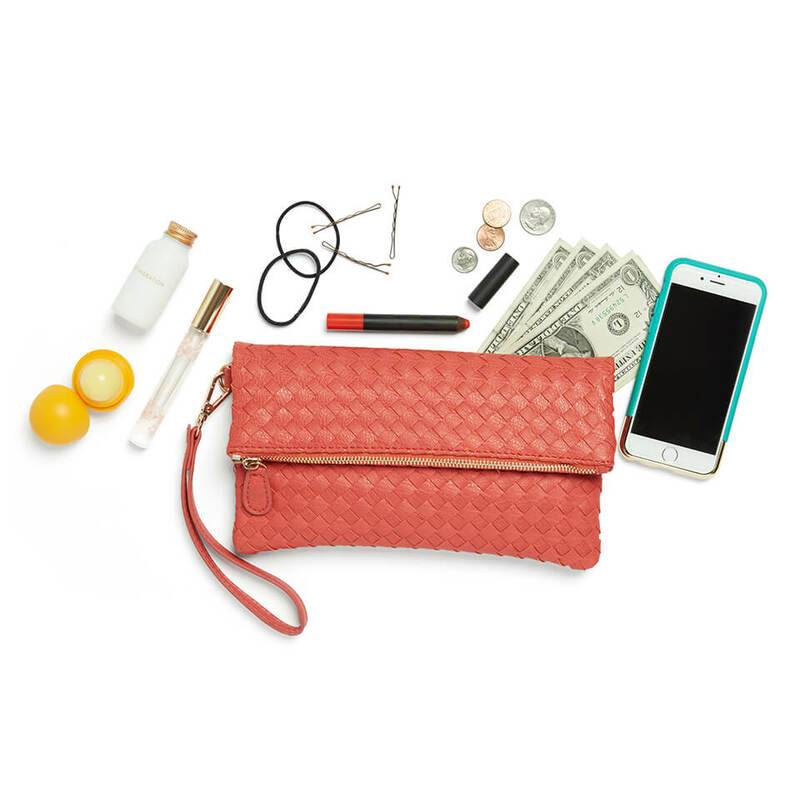 Keeping all of your little things organized in a clutch—like lipstick, hair ties & bobby pins—allows you to access your essentials while still carrying everything you need. Win-win! 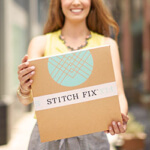 Want to snag one of our summer clutches? Ask your Stylist for one in your next Fix.